Hadoop is an efficient open source framework that allows the processing of large data storage using simple programming models. This open source platform has the ability of enormous processing and capability to control limitless synchronized jobs. For Java Developers, Hadoop framework is easy to learn as it’s entirely written in Java and for professionals planning to switch from Java to Hadoop – it is the easiest to opt because in Hadoop MapReduce script is written in Java. By switching career from Java to Hadoop, you can expect high lucrative packages and secured career. Advanced Knowledge in Hadoop and Big Data could increase your chance to work with top companies such as IBM, Facebook, Twitter, Yahoo and Amazon. To stay ahead of competition and to work with top MNC’s, you just only need to attend a hadoop training program and learn all the concepts from trained experts. Learning hadoop can be beneficial for professionals as it will help you to deal with complex projects and improve your quality of work. Hadoop market is likely to increase at a compound annual growth rate of 43.4% (CAGR) exceeding $40.69 billion by 2021. So professionals have a great opportunity to switch from Java to Hadoop and upgrade skills to grow with the industry. Why Hadoop Training is Important? An advanced Hadoop training from a reputed and authorized training provider is a must to get started and once you get the training in Hadoop and a Hadoop Certification, you can apply for various profile such as Hadoop Analyst, Hadoop Administrator, Hadoop Architect, Hadoop Developer. Hadoop Administrator must possess knowledge of Linux, Java, database management and in-depth skills of programming algorithm for data processing. For Hadoop Architects, you have to be expert in Hadoop MapReduce Programming, Hbase, Pig, Hive and Java. Hadoop developers should have knowledge about SQL and Core Java to get started in creating Big Data Hadoop solutions. Hadoop Analysts must possess understanding of data analysis software solutions such as R, SAS, SPSS etc. Tracking and sorting big data volume requires a lot of manual intervention. Capital investment in purchasing a server which has extremely high processing capacity is really high. Hadoop is compatible on all the platforms and that’s the main reason it is so popular among government organization, online marketing agencies, top multinational companies and financial services. 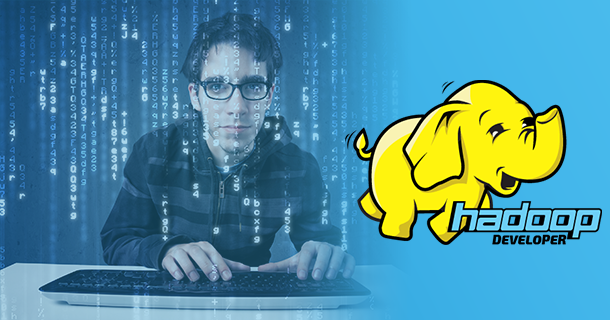 Hadoop library has been designed to detect and handle failures. Hadoop can operate without any interruption, even if you add or remove server from the cluster. Hadoop framework is the quickest and smartest way to store and process huge volumes of data. In Finance and Banking sector, Hadoop can find solutions to ease out tasks and expand efficiency. Healthcare Industry comprises massive amount of data related to patient files, financial and clinical data. Hadoop has an important role in the Sports Industry too as every team exploits big data for health, player fitness and game analysis. In Retail sector, Hadoop connects customers to buy and purchase in a convenient way. Hadoop is the most widely used in industries such as Call Centers, IT analytics, Social media and opting a big data hadoop training from EduPristine could be the preeminent way to lift your Hadoop career. This 60 hours of hadoop classroom training is designed to make a career in big data analytics using hadoop framework. EduPristine is the only institute which provides complimentary “Java Essential for Hadoop” course to all the candidates who enroll for the Hadoop training and once you complete your hadoop training, you will find that staying updated with the latest applications will be a lot easier and getting into biggest silicon valley companies will never be ‘a dream’. Get Free Career Counseling from our experts. Register Now!